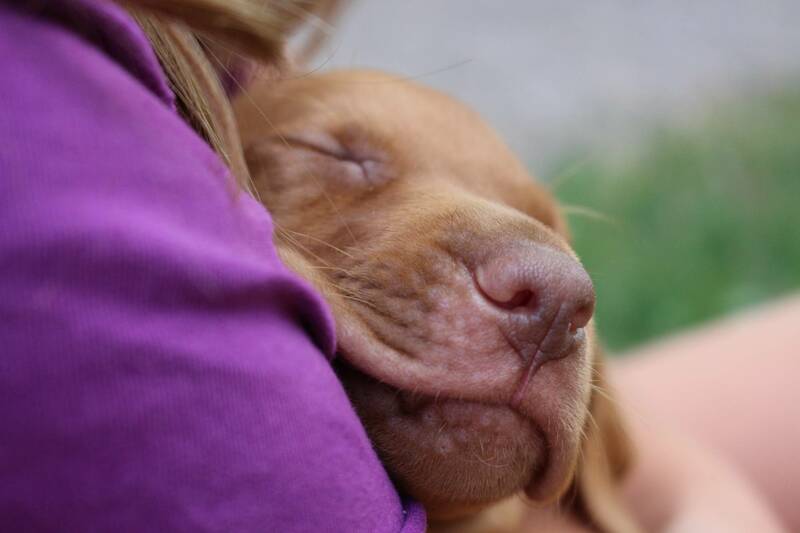 Here at Ourdream we raise our puppies in our home surrounded by our family. 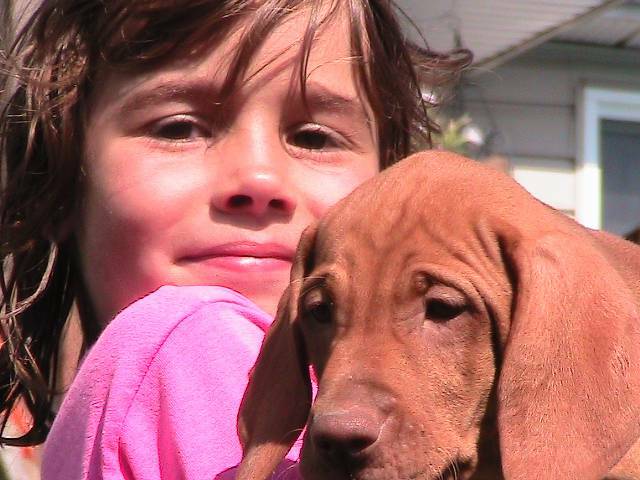 We provide early socialization through the Early Neurological Stimulation exercises, which are based on a system developed by the U.S Military canine program. These exercises, perfomed on puppies that are very young, have shown to increase tolerance to stress, raise their ability to fight off disease, speed the rate of maturity, and make for a generally more well-rounded adult dog. 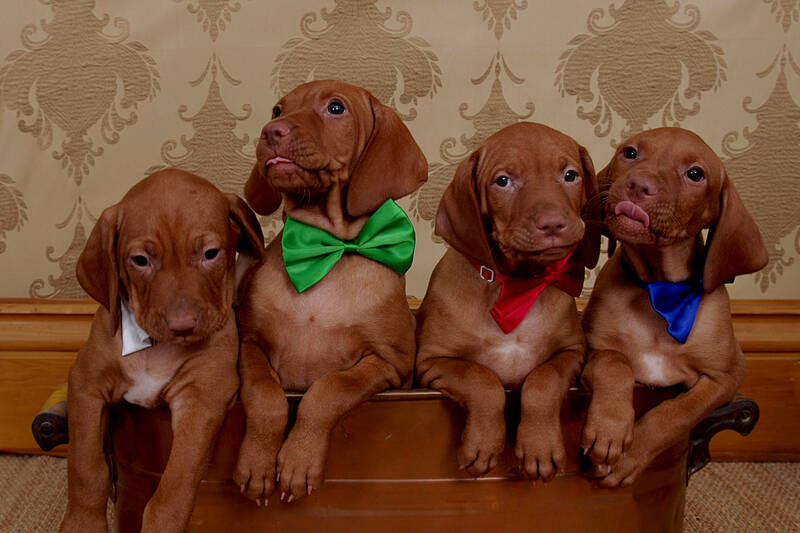 Our breeding goals are to produce the healthiest, smartest puppies we can, who have the drive and desire to work, as well as be true canine athletes that look the way a Vizsla should look. 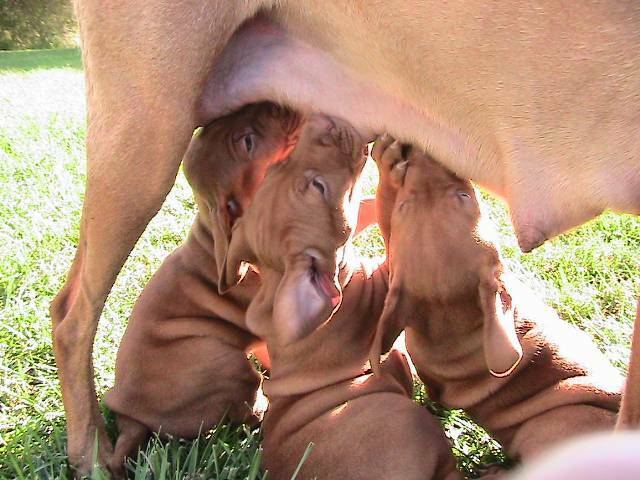 We feed our dogs a balanced raw diet and our puppies are weaned to that as well. We encourage our buyers to continue this diet, as well as leaving their puppy intact for as long as possible, to promote proper growth and development. 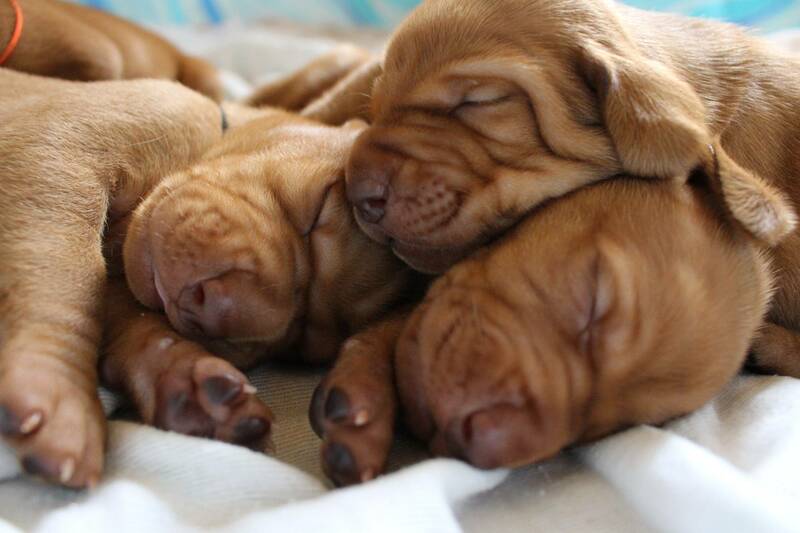 Our puppies are available to approved families only, preference will be given to those who plan to work or show their pup, but all inquiries will be considered. Our puppies come with Canadian Kennel Club registration certificates, first vaccinations, microchip, vet records and lifetime support. 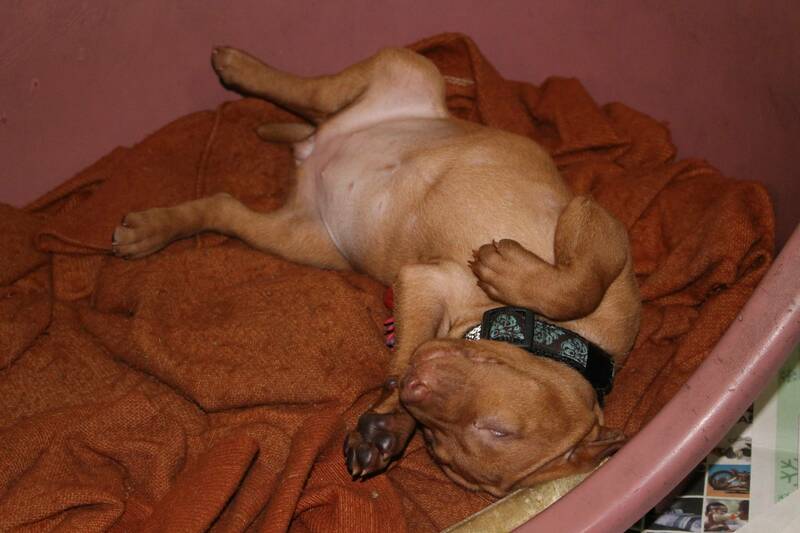 If at any time you can not keep your pup, we will take it back and help find it a new home. 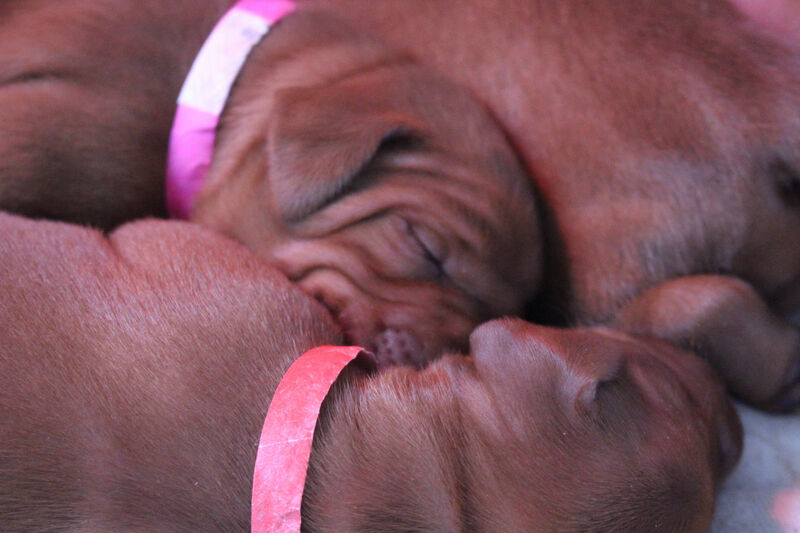 Puppies are sold on non-breeding contracts, or co-ownerships for show puppies. We provide a 3 year guarantee for hereditary conditions, like hip and heart issues. 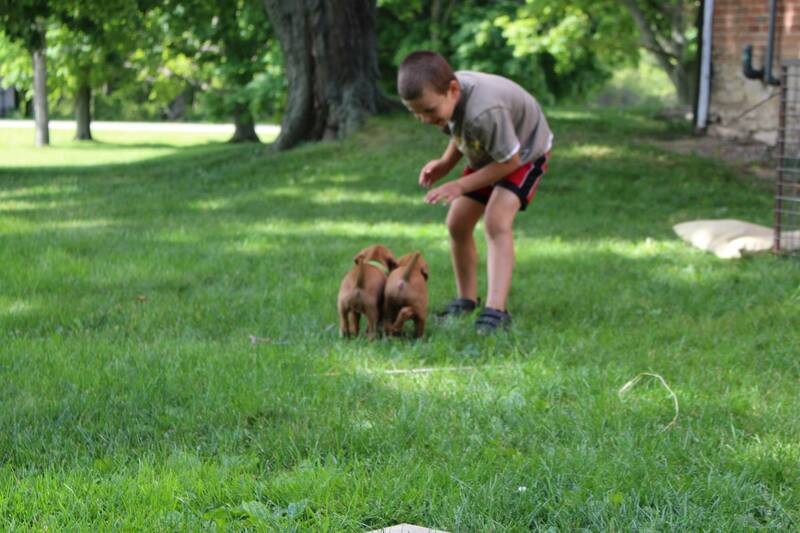 We also encourage our buyers to get involved in sports with their puppies; conformations shows, field events, agility, nosework, obedience, etc. A busy dog is a happy dog, and we are here to support you through that process. 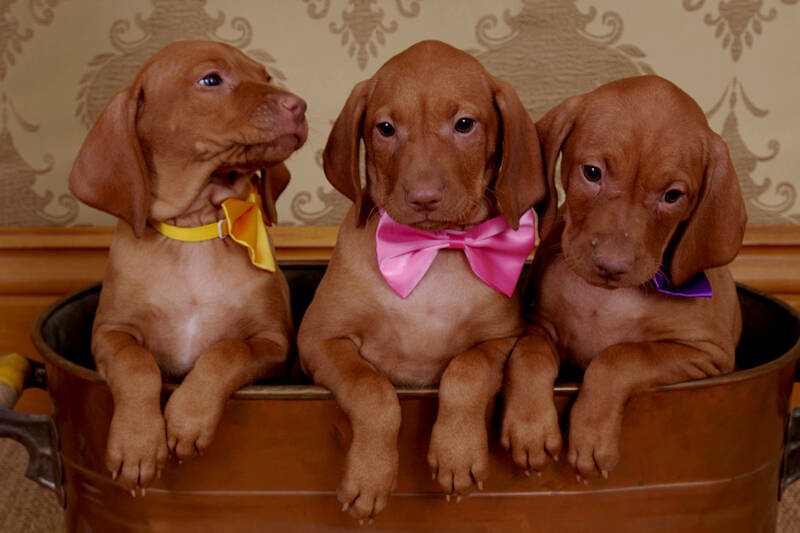 6 weeks of pet insurance is also provided for all new pups and a 1 year membership to the Vizsla Sociey of Ontario is purchased for the owners. 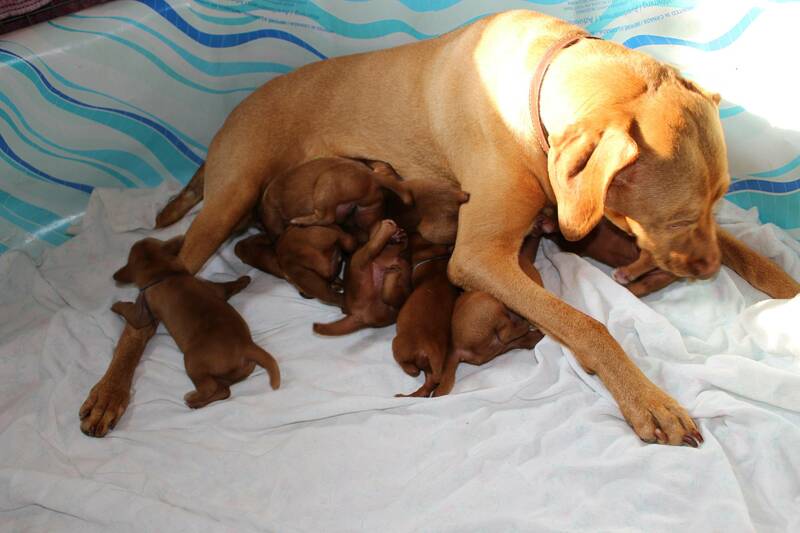 Monte and Elara are pleased to announce the arrival of 7 puppies, born November 27th. There are 4 boys and 3 girls. 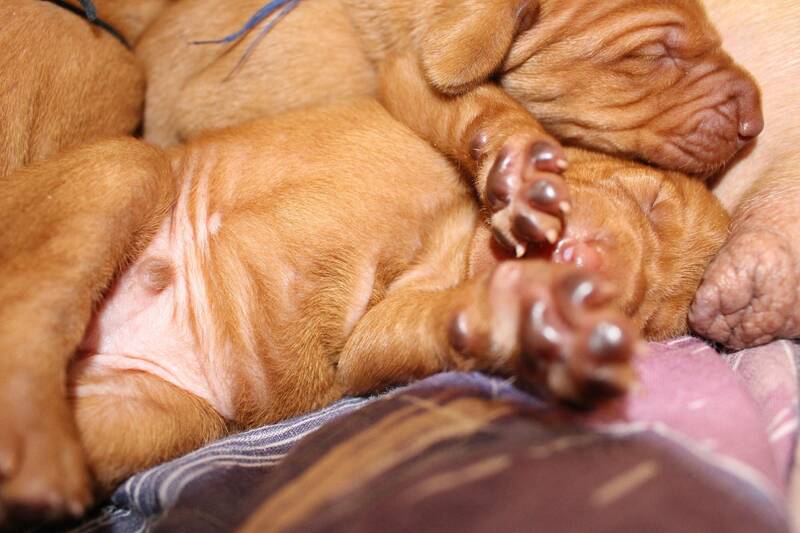 This litter is completely sold and in their new homes, our next litter will be sometime late 2019.